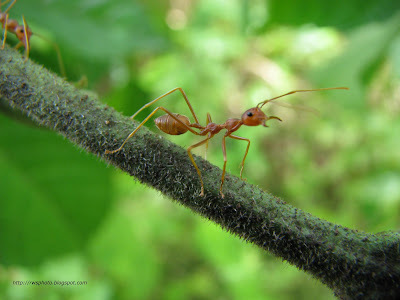 Fire ants, are stinging ants with over 280 species worldwide. 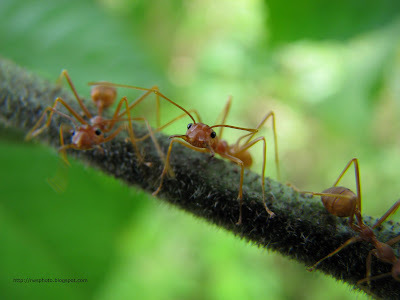 They have several common names including Ginger Ants and Tropical Fire Ants (English), aka-kami-ari (Japanese), and Feuerameise (German). 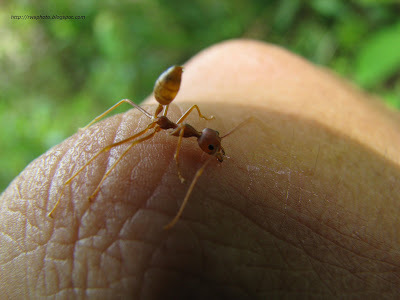 For these red fire ants, it is not easy to take the picture because the ants won't keep still. And a zero macro is not possible as the ants would climb to the camera's lens. Scary. I thought the red fire ant is poisonous. The colour is very good and you got it off the back of your hand! woah!! pretty d*** cool man! !